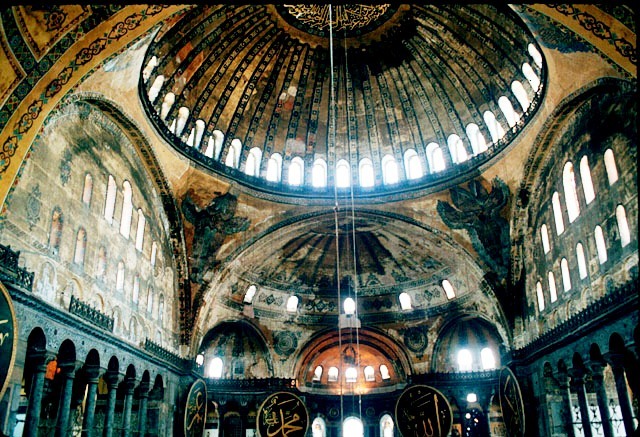 5.2: Seminar: readings in key thinkers in the Mediaeval Church: Gregory the Great, Thomas Aquinas and Francis of Assisi. It is a good principle in historical research to look for primary sources, and to read what people have to say about themselves in their own time, rather than reading how others have interpreted their thoughts. ● Saint Gregory the Great bridges the gap between the fall of the Western Roman Empire and the end of the dark ages, between the Patristic period and the mediaeval church. He is concerned with reform and innovation in monasticism, pastoral care, ecclesial structures, liturgy and church music. 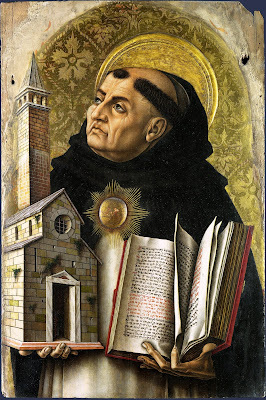 ● Saint Thomas Aquinas bridges the gaps between the monastery and the university, between philosophy and theology, and in many ways he bridges the gap between East and West, which we encounter in our next lecture. 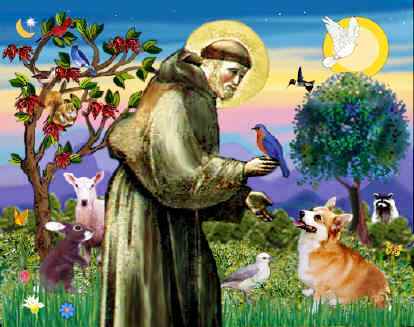 ● Saint Francis of Assisi is perhaps the most popular mediaeval saint in Europe today. 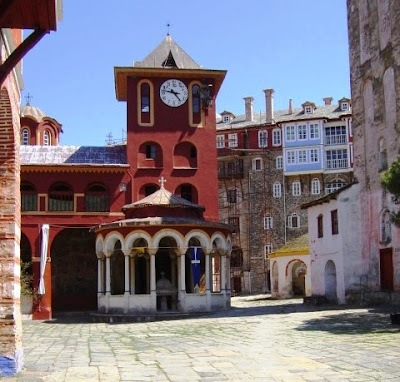 He bridges the gap between the monastery and the world, between teaching and living, and he is a Church reformer who also appears on the stage at the same time as the Crusades. This evening, we shall briefly look at their lives, their writings and their thinking, even if we do not get too deeply into reading their writings. Pope Gregory I (ca 540-604), better known as Gregory the Great, was Pope from 3 September 590 until he died in 604. Gregory the Great was Prefect of Rome in 573 before entering a monastery, and was the first of the popes to come from a monastic background. Gregory is a Doctor of the Church and one of the Latin Fathers. He is revered as a saint in many parts of the Church, including among the Roman Catholic, Eastern Orthodox, Anglican, and some Lutheran churches. Following the fall of Rome and the Barbarian invasions of the Italian peninsula, the recovery of the Latin Church only truly begins with the Papacy of Gregory I. He is respected for his prolific writings, and for his exceptional efforts in revising the Roman liturgy of his day. 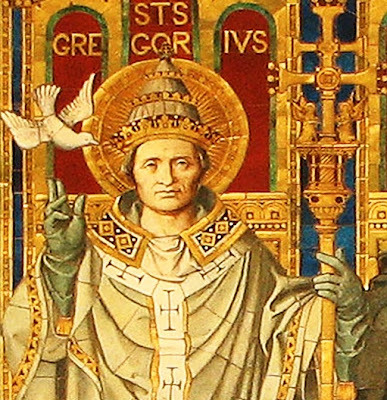 Gregory the Great is credited with re-energising the Church’s missionary work in northern Europe. In 596, he sent Augustine on a mission to England as is counted as the first Archbishop of Canterbury. He promoted monasticism, made important changes in the liturgy and fostered the development of liturgical music. He gave the Roman Schola Cantorum its definite form, so that plainsong is often known as Gregorian Chant. Immediately after his death on 12 March 604, Gregory the Great was canonised by popular acclaim. Gregory is well known for his writings, which were more prolific than those of any of his predecessors as pope. In the Eastern Orthodox tradition he is known as Saint Gregory the Dialogist because of his Dialogues. For this reason, English translations of Orthodox texts sometimes name him as Gregory Dialogus. Gregory’s Dialogues was written by Gregory the Great around the year 590, shortly after he became Pope. In this work, he relates the lives and miracles of Italian saints, including Saint Benedict. His Liber Regulae Pastoralis or Regula Pastoralis (The Book of the Pastoral Rule, commonly known in English as Pastoral Care from the alternative Latin title, Cura Pastoralis) is a treatise on the pastoral responsibilities of the bishop. This became one of the most influential works on the topic. The text was addressed to John, the Bishop of Ravenna, as a response to a query from him. Pope Gregory later revised the text somewhat, and the popular title is taken from the copy sent by Pope Gregory to his friend, Leander of Seville. The personal, intellectual and moral standards Pope Gregory enjoins do not at all points closely reflect sixth century realities: for example, one letter from the Bishop of Cartagena (Book II, letter 54 in Pope Gregory’s collected correspondence) praises the book, but expresses a reserve that it might prove beyond ordinary capacities. However, the book was vastly influential. After reading the Regulae, the Byzantine Emperor Maurice directed that it be translated and distributed to every bishop within the Empire. Among the works of the Latin Patristic writers, Pope Gregory’s alone were translated into Greek during his own lifetime. In the West, the book was distributed widely and has retained much of its significance and broad dissemination. It was brought to England by Augustine of Canterbury, who was sent there by Pope Gregory in 597. In the late ninth century, it was translated into Old English by Alfred the Great, as part of a project to improve education in Anglo-Saxon Kingdom. So, hundreds of years after it was written, this work continued to be seen as the most essential guide for pastoral theology. Alfred wished every bishop in his kingdom to have a copy for the benefit of the less-educated clergy. Beyond England, Pope Gregory’s Regulae was recommended to Charlemagne’s bishops at a series of councils in 813. Archbishop Hincmar of Rheims (845-882) notes that a copy of it, together with the Book of Canons, was given into the hands of bishops before the altar at their consecration. Numerous manuscript copes survive. The oldest may that in the Bibliothèque Municipale in Troyes (Ms 504). This is an early seventh century manuscript in an unical script without divisions between words, probably originating in Rome, with about 25 lines per page. Alfred the Great’s translation, now in the Bodleian Library in Oxford, is the oldest known book written in English. The most famous of Pope Gregory the Great’s writings, and justly so, is the Liber Regulae Pastoralis, known commonly as the Pastoral Care, or the Pastoral Rule. This book was written soon after its author became Pope (590), and was addressed to John, Bishop of Ravenna, in reply to inquiries received from him respecting the duties and obligations of the clergy. Though thus put into form for a special purpose, there can be no doubt that it was the product of long thought. Everywhere throughout Europe the work was received with the favour it deserved, and in Spain, Gaul, and Italy its influence upon the life and manners of the clergy was beyond estimate. Even in Britain it was a real power for good. 4, on the necessity that the pastor guard himself against egotism and personal ambition. The passages below are taken from the second and third parts. The conduct of a prelate ought so far to be superior to the conduct of the people as the life of a shepherd is accustomed to exalt him above the flock. For one whose position is such that the people are called his flock ought anxiously to consider how great a necessity is laid upon him to maintain uprightness. 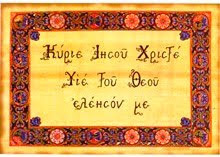 It is necessary, then, that in thought he should be pure, in action firm; discreet in keeping silence; profitable in speech; a near neighbour to everyone in sympathy; exalted above all in contemplation; a familiar friend of good livers through humility, unbending against the vices of evil-doers through zeal for righteousness; not relaxing in his care for what is inward by reason of being occupied in outward things, nor neglecting to provide for outward things in his anxiety for what is inward. The pastor should always be pure in thought, inasmuch as no impurity ought to pollute him who has undertaken the office of wiping away the stains of pollution in the hearts of others also; for the hand that would cleanse from dirt must needs be clean, lest, being itself sordid with clinging mire, it soil all the more whatever it touches. The pastor should always be a leader in action, that by his living he may point out the way of life to those who are put under him, and that the flock, which follows the voice and manners of the shepherd, may learn how to walk rather through example than through words. For he who is required by the necessity of his position to speak the highest things is compelled by the same necessity to do the highest things. For that voice more readily penetrates the hearer's heart, which the speaker’s life commends, since what he commands by speaking he helps the doing by showing. Since, then, we have shown what manner of man the pastor ought to be, let us now set forth after what manner he should teach. For, as long before us Gregory Nazianzen, of reverend memory, has taught, one and the same exhortation does not suit all, inasmuch as all are not bound together by similarity of character. For the things that profit some often hurt others; seeing that also, for the most part, herbs which nourish some animals are fatal to others; and the gentle hissing that quiets horses incites whelps; and the medicine which abates one disease aggravates another; and the food which invigorates the life of the strong kills little children. Therefore, according to the quality of the hearers ought the discourse of teachers to be fashioned, so as to suit all and each for their several needs, and yet never deviate from the art of common edification. For what are the intent minds of hearers but, so to speak, a kind of harp, which the skilful player, in order to produce a tune possessing harmony, strikes in various ways? And for this reason the strings render back a melodious sound, because they are struck indeed with one quill, but not with one kind of stroke. Whence every teacher also, that he may edify all in the one virtue of charity, ought to touch the hearts of his hearers out of one doctrine, but not with one and the same exhortation. Differently to be admonished are the wise of this world and the dull. For the wise are to be admonished that they leave off knowing what they know; the dull also are to be admonished that they seek to know what they know not. In the former this thing first, that they think themselves wise, is to be overcome; in the latter, whatsoever is already known of heavenly wisdom is to be built up; since, being in no wise proud, they have, as it were, prepared their hearts for supporting a building. With those we should labour that they become more wisely foolish, leave foolish wisdom, and learn the wise foolishness of God: to these we should preach that from what is accounted foolishness they should pass, as from a nearer neighbourhood, to true wisdom. From: Frederic Austin Ogg, ed., A Source Book of Mediaeval History: Documents Illustrative of European Life and Institutions from the German Invasions to the Renaissance (New York, 1907, reprinted by Cooper Square Publishers (New York), 1972), pp 91-96. Scanned by Jerome S. Arkenberg, Cal. State Fullerton. The text has been modernised by Prof. Arkenberg. This text is part of the Internet Medieval Source Book. 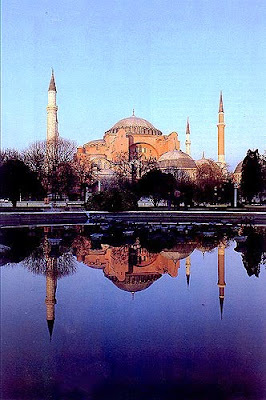 The Sourcebook is a collection of public domain and copy-permitted texts related to mediaeval and Byzantine history. Unless otherwise indicated the specific electronic form of the document is copyright. Permission is granted for electronic copying, distribution in print form for educational purposes and personal use. If you do reduplicate the document, indicate the source. No permission is granted for commercial use. Tell Augustine that he should be no means destroy the temples of the gods but rather the idols within those temples. Let him, after he has purified them with holy water, place altars and relics of the saints in them. For, if those temples are well built, they should be converted from the worship of demons to the service of the true God. Thus, seeing that their places of worship are not destroyed, the people will banish error from their hearts and come to places familiar and dear to them in acknowledgement and worship of the true God. Further, since it has been their custom to slaughter oxen in sacrifice, they should receive some solemnity in exchange. Let them therefore, on the day of the dedication of their churches, or on the feast of the martyrs whose relics are preserved in them, build themselves huts around their one-time temples and celebrate the occasion with religious feasting. They will sacrifice and eat the animals not any more as an offering to the devil, but for the glory of God to whom, as the giver of all things, they will give thanks for having been satiated. Thus, if they are not deprived of all exterior joys, they will more easily taste the interior ones. For surely it is impossible to efface all at once everything from their strong minds, just as, when one wishes to reach the top of a mountain, he must climb by stages and step by step, not by leaps and bounds.... Mention this to our brother the bishop, that he may dispose of the matter as he sees fit according to the conditions of time and place. Given the 18 July in the 19th year of our most religious Emperor Maurice Tiberius, and in the eighteenth year after his consulship and in the fourth indiction. Saint Thomas Aquinas (1225-1274) is one of the most influential scholastic philosophers and theologians of the Middle Ages. He is the foremost classical proponent of natural theology and the father of Thomism. His influence on Western thought is considerable, and much of modern philosophy is conceived in development or refutation of his ideas, particularly in the areas of ethics, natural law, metaphysics and political theory. Saint Thomas was born in 1225 into a noble Italian family that held the title of Count of Aquino. Roccasecca, the hilltop castle where he was born, is near the great Benedictine abbey of Montecassino, midway between Rome and Naples. At the age of five, he became a student at Montecassino and later went on to the University of Naples. There he came into contact with the Order of Preachers or Dominicans, a recently founded mendicant order, and he became a Dominican despite the protests of his family. He then studied in Paris, and in Cologne with Albert the Great, whose interest in Aristotle strengthened Thomas’s own interests. He completed his studies in Paris, and for three years held one of the Dominican chairs in the Faculty of Theology. Eventually he moved to in Rome, but he was called back to Paris to confront the controversy known as Latin Averroism or Heterodox Aristotelianism. He returned to Naples but after experiencing an unexpected trance on 6 December 1273 he said that all his writings seemed like chaff. He wrote little more. While he was on his way to the Council of Lyon, he fell ill and died on 7 March 1274 in the Cistercian abbey at Fossanova, just 20 km from where he was born in Roccasecca. The Roman Catholic Church sees Saint Thomas Aquinas as the model teacher for students for the priesthood, and the study of his works, according to papal and magisterial documents, is a core of the required programme of study for student priests, for students in religious formation, and for other students in other fields, including philosophy, theology, history, liturgy, and canon law. The works for which Saint Thomas of Aquinas is best-known are the Summa Theologiae and the Summa Contra Gentiles. Saint Thomas is the key figure in both mediaeval philosophy and theology. He understands theology to mean discourse that takes its rise from the revealed truths of the Bible. But there is also a theology that constitutes the defining telos of philosophical inquiry. Thus it is that divine science or theology is of two kinds, one in which divine things are considered not as the subject of the science but as principles of the subject and this is the theology that the philosophers pursue, also called metaphysics. The other considers divine things in themselves as the subject of the science, and this is the theology which is treated in Sacred Scripture. They are both concerned with things which exist separately from matter and motion, but differently, insofar as they are two ways in which something can exist separately from matter and motion: first, such that it is of the definition of the things said to be separate, that they can never exist in matter in motion, as God and the angels are said to be separate from matter and motion; second, such that it is not part of their definition that they exist in matter and motion, because they can exist apart from matter and motion, although sometimes they are found in matter and motion, for example, substance, potency and act are separate from matter and motion because they do not require matter in order to exist as mathematicals do, although they can be understood without sensible matter. Philosophical theology treats of things separate in the second way as its subjects and of things separate in the first way as the principles of its subject. But the theology of Sacred Scripture treats of things separate in the first way as its subjects, although in it some things which exist in matter and motion are considered insofar as they are needed to make the divine manifest. Source: Exposition of Boethius’ on the Trinity, q. 5, a. 4. 1, The first part, Summa Theologiae I (ST I): this considers God, the Trinity, and creation, especially humanity and angels. 2, The first part of the second part (ST I-II): this deals with morals in general, considering everything, from happiness, to virtue and vice, as well as the gifts of the Holy Spirit and grace. 3, The second part of the second part (ST II-II) is on specific moral theology – dealing with the virtues and vices in particular, and also with vocational callings. 4, The third part (ST III) considers Christ Jesus himself and also the sacraments he instituted. 5, To this is added the “Supplement,” completed by Reginald of Piperno from Saint Thomas’s early writings, including the commentary on the Sentences of Peter Lombard which Saint Thomas made as a young man. It was added to the Summa, which Saint Thomas never finished this work. The Supplement deals with some of the sacraments and also considers the end of time and Christ’s second coming. 1, Motion: Some things undoubtedly move, though cannot cause their own motion. Since, as Thomas believed, there can be no infinite chain of causes of motion, there must be a First Mover not moved by anything else, and this is what everyone understands by God. 2, Causation: As in the case of motion, nothing can cause itself, and an infinite chain of causation is impossible, so there must be a First Cause, called God. 3, Existence of the necessary and the unnecessary: Our experience includes things certainly existing but apparently unnecessary. Not everything can be unnecessary, for then once there was nothing and there would still be nothing. Therefore, we are compelled to suppose something that exists necessarily, having this necessity only from itself; in fact itself the cause for other things to exist. 1, God is simple, without composition of parts, such as body and soul, or matter and form. 2, God is perfect, lacking nothing. That is, God is distinguished from other beings on account of God’s complete actuality. Saint Thomas defines God as the Ipse Actus Essendi subsistens, the subsisting act of being. 3, God is infinite. That is, God is not finite in the ways that created beings are physically, intellectually, and emotionally limited. This infinity is to be distinguished from infinity of size and infinity of number. 4, God is immutable, incapable of change on the levels of God’s essence and character. Following Augustine of Hippo, Saint Thomas defines sin as “a word, deed, or desire, contrary to the eternal law.” It is important to note the analogous nature of law in Saint Thomas’s legal philosophy. Natural law is an instance or instantiation of eternal law. Because natural law is that which human beings determine according to their own nature (as rational beings), disobeying reason is disobeying natural law and eternal law. Thus eternal law is logically prior to reception of either “natural law,” determined by reason, or “divine law,” found in the Old and New Testaments). In other words, God’s will extends to both reason and revelation. 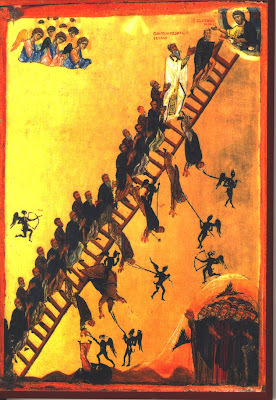 Sin is abrogating either one’s own reason, on the one hand, or revelation on the other, and is synonymous with “evil” (privation of good, or privatio boni). Saint Thomas, like all Scholastics, generally argues that the findings of reason and data of revelation cannot conflict, so both are a guide to God’s will for human beings. 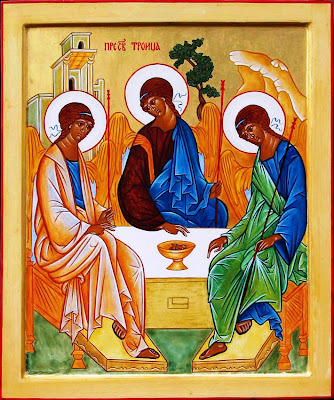 This Trinity exists independently from the world. It transcends the created world, but the Trinity also decided to give grace to human beings. This takes place through the Incarnation of the Word in the person of Jesus Christ and through the indwelling of the Holy Spirit within those who have experienced salvation by God. Saint Thomas’s five proofs for the existence of God take some of Aristotle’s assertions concerning principles of being. For Saint Thomas, God as prima causa (first cause) is derived from Aristotle’s concept of the unmoved mover and asserts that God is the ultimate cause of all things. In the Summa Theologiae, Saint Thomas begins his discussion of Jesus Christ by recounting the biblical story of Adam and Eve and by describing the negative effects of original sin. The purpose of Christ’s Incarnation was to restore human nature by removing “the contamination of sin,” which humans cannot do by themselves. ● In response to Photinus, Saint Thomas states that Jesus was truly divine and not simply a human being. ● Against Nestorius, who suggested that the Son of God was merely conjoined to the man Christ, Saint Thomas argues that the fullness of God was an integral part of Christ’s existence. ● However, countering Apollinaris’ views, Saint Thomas holds that Christ had a truly human (rational) soul, as well. This produced a duality of natures in Christ. ● Saint Thomas argues against Eutyches that this duality persisted after the Incarnation. ● Saint Thomas states that these two natures existed simultaneously yet distinguishably in one real human body, unlike the teachings of Manichaeus and Valentinus. In short, “Christ had a real body of the same nature of ours, a true rational soul, and, together with these, perfect Deity.” Thus, there is both unity (in his one hypostasis) and composition (in his two natures, human and Divine) in Christ. Saint Francis of Assisi (1181-1226), who died just a year after Saint Thomas Aquinas, is the founder of the Franciscan orders, although he was never ordained a priest. He is one of the most venerated and most popular saints in church history. He was born Giovanni Francesco di Bernardone in 1181, the son of a wealthy cloth merchant in Assisi, and he lived the high-spirited life typical of a wealthy young man of his day. While going off to war in 1204, Saint Francis had a vision that directed him back to Assisi, where he lost his taste for his worldly life. On a pilgrimage to Rome, he joined the poor who were begging at Saint Peter’s Basilica. The experience moved him to live in poverty. 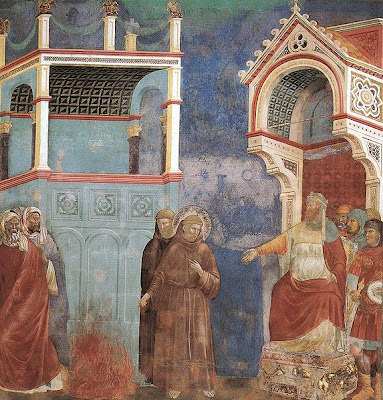 Saint Francis returned home, began preaching on the streets. One summer day, in 1206, Francis was walking close to the crumbling church of San Damiano when he felt an inner call from the Holy Spirit to go inside the Church to pray. In obedience, Francis entered the Church, fell on his knees before the familiar icon cross, open to what the God might have to say to him. So Francis looked around at the crumbling church, gathered some of his friends together and rebuilt it. Then they went out and began restoring other church buildings in the vicinity of Assisi that were in need of repair. Gradually, Francis realised that the call to “rebuild my church” was also a call to reform the institution, to rebuild it by witnessing to the truth of the faith and calling people to renewed faithfulness to Christ and commitment to his mission. The Body of Christ on the Cross had called Francis to rebuild the Body of Christ in the world. In the year 1209, Saint Francis and his eleven companions walked into the Basilica of Saint John Lateran in Rome for an audience with Pope Innocent III. The Lateran was then the equivalent of the Vatican, the earthly centre of power in the Western Church, and it was the Papal residence in Rome from the early 4th century until the mid-16th century. So, Saint Francis and his eleven companions travelled almost 200 km from Assisi to Rome along ancient roads to seek Pope Innocent’s approval of the Franciscan way of life. Innocent – having dreamt of Francis holding up a disintegrating Basilica of Saint John Lateran – heartily granted his approval Saint Francis soon attracted a larger following, and he then founded the Order of Poor Clares for women, as well as the Third Order. Saint Francis went to Egypt in 1219 in an attempt to convert the Sultan, Malik al-Kamil, and to put an end to the conflict of the Crusades. By this point, the Franciscans had grown to such an extent that the organisational structures were too primitive and insufficient. He returned to Italy to organise the order. Once his community had received Papal approval, he withdrew increasingly from external affairs. In 1223, Saint Francis arranged for the first Christmas manger scene. In 1224, in La Verna, he received the stigmata, the first recorded incidence of someone bearing the wounds of Christ’s Passion. He died during the evening hours of 3 October 1226, while he was listening to a reading of Psalm 141. He was declared a saint by Pope Gregory IX on 16 July 1228. His best-known writing is The Canticle of the Sun, also known as Laudes Creaturarum (Praise of the Creatures), written in the Umbrian dialect of Italian and among the first works of literature. Saint Francis is said to have composed most of the canticle in late 1224 while he was recovering from an illness at San Damiano in a small cottage that had been built for him by Saint Clare and other women of her order. According to tradition, the first time it was sung in its entirety was by Saint Francis and Brother Angelo and Brother Leo, two of his first companions, on Saint Francis’s deathbed, the final verse praising “Sister Death” having been added only a few minutes before. All praise is yours, all glory, all honour, and all blessing. And he is beautiful and radiant in all his splendour! The Prayer of Saint Francis is also attributed to Saint Francis of Assisi. However, the prayer in its present form cannot be traced back further than 1912, when it was printed in France in French in a small magazine, La Clochette (The Little Bell) as an anonymous prayer. Soon after that first publication, it was being attributed to William the Conqueror. It was first attributed e to Saint Francis in 1927 by a French Protestant Movement known as Les Chevaliers du Prince de la Paix (The Knights of the Prince of Peace), founded by Étienne Bach (1892-1986). The prayer became popular in the US that year when its first known translation in English appeared in January 1927 in the Quaker magazine Friends’ Intelligencer (Philadelphia), where it was also attributed to Saint Francis of Assisi.